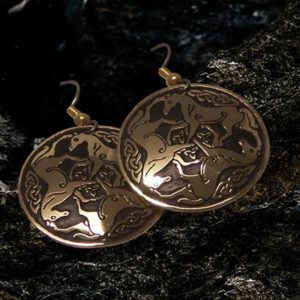 Celtic earrings Pictish Panels handmade on the Wild Atlantic way, Ireland by Paul Connolly. 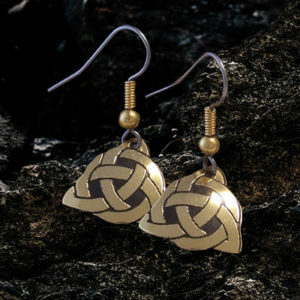 A perfect Celtic gift from Ireland. 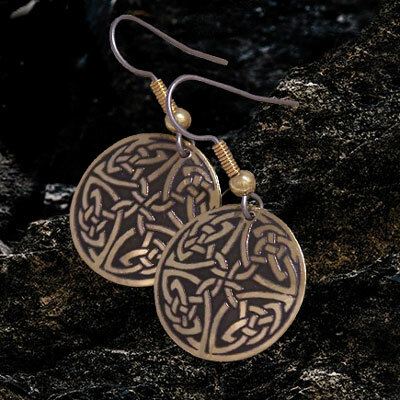 The Pictish Art of constructing Celtic knotwork in circular panels is etched with precise detail onto these Celtic earrings from Ireland. From the Book of Kells. Any knot can be a “lover’s knot”. Most commonly knots that link separate path’s are used as lover’s knots. The “Josephine Knot” or “Granny knot” is a linking knot that is frequently called a lover’s knot. 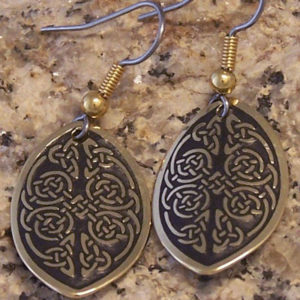 The dark hue of the contrasting etched design compliments the craftsmanship of this Celtic earrings. A quality Celtic gift from Ireland. 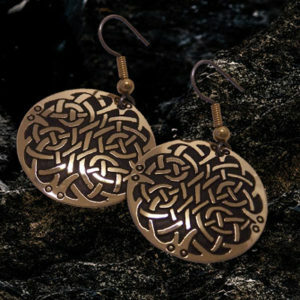 Celtic jewellery from Ireland, handmade by Paul Connolly.